The Chairman, CEO and board members enjoyed an afternoon with the residents of Somerville and Eliza Mackenzie Courts. 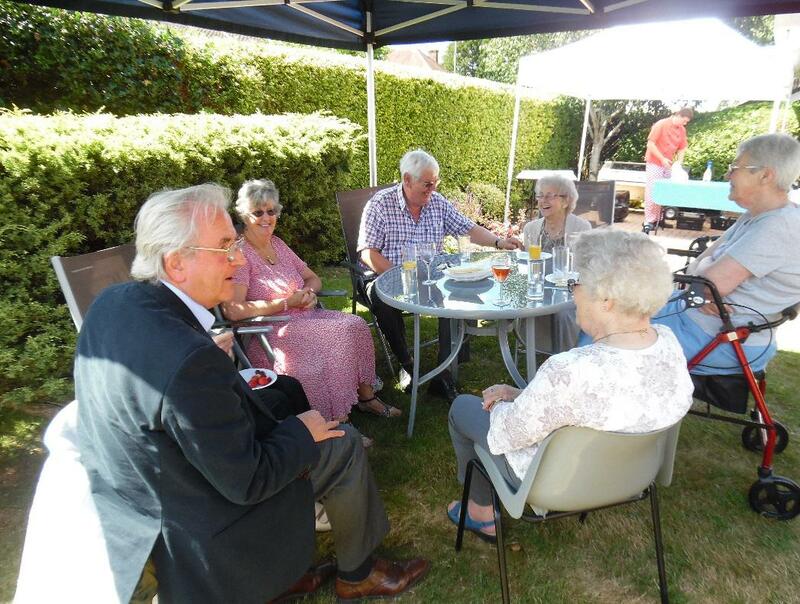 Saxophone music was enjoyed along with a hog roast. 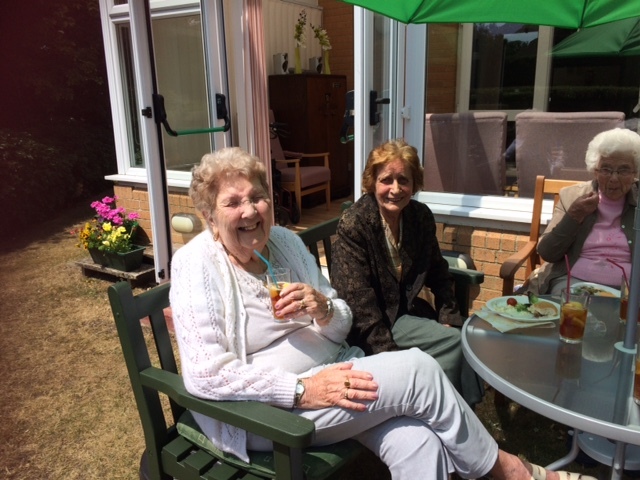 Jackie and Daphne send their thanks to residents for assisting in the raffle and replenishing of glasses. Monies raised in the raffle were donated to cancer research. This entry was posted in Uncategorized on September 26, 2015 by agamemnonha. There’s nothing more satisfying than seeing men at the stove! 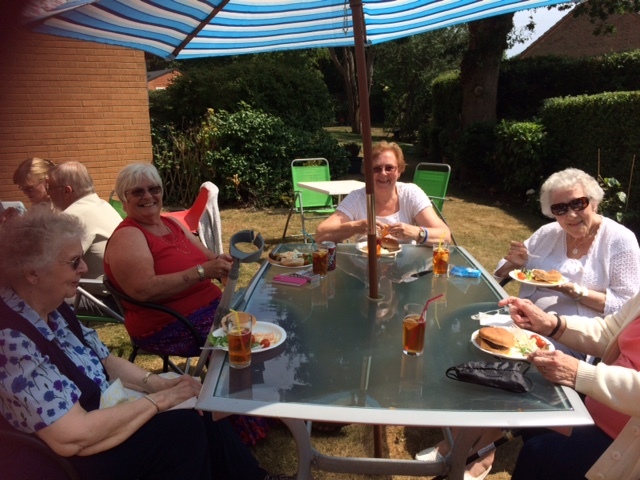 On Saturday 25th July, the rain held off and the sun came out to play, as did the Residents from EMC. 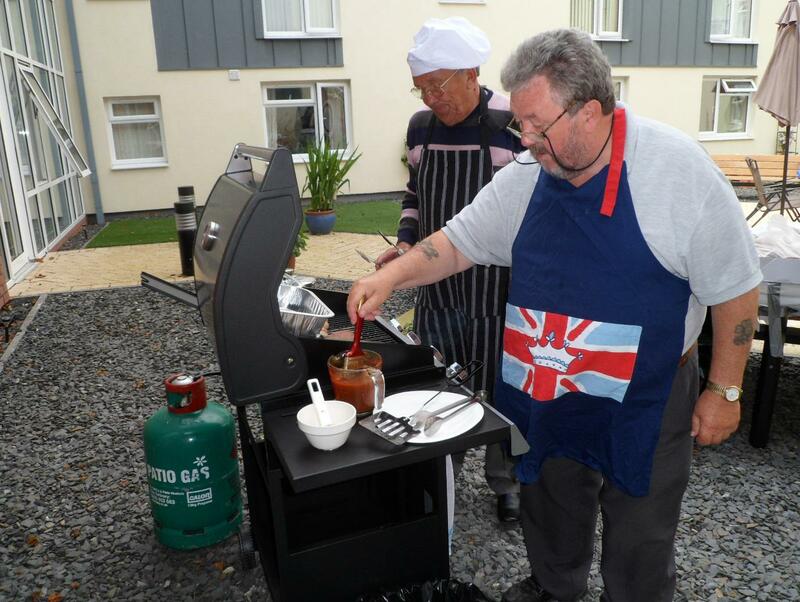 Celebrity chefs had nothing on Joe and Peter who took the lead in cooking some lovely bbq food. 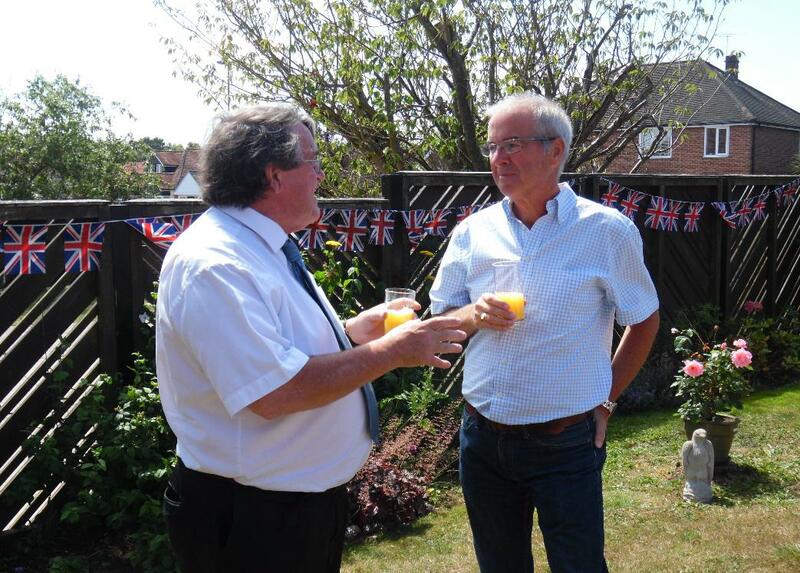 A chocolate fountain was to follow with strawberries and marsh mellows kindly served by Paul. 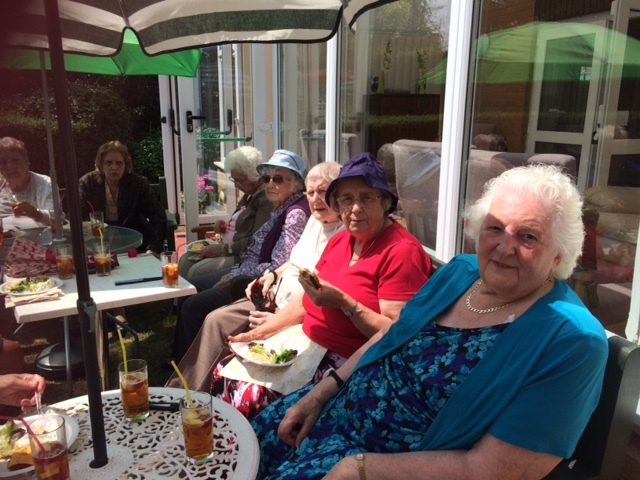 Other residents were involved with a raffle, supplied salads and desserts. 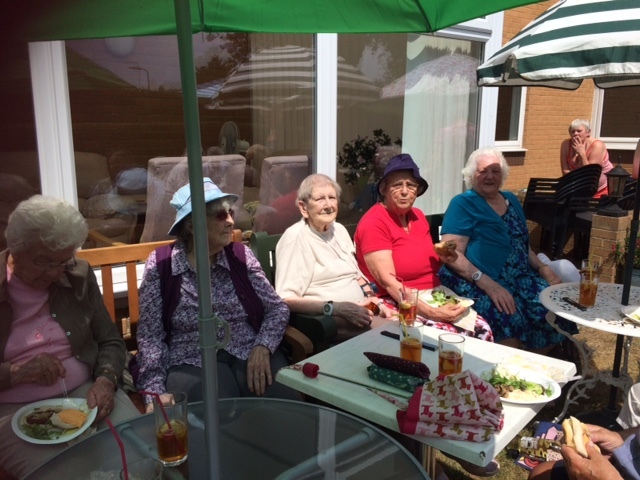 Funds raised for the social fund totalled £156.00.